Pensioners to be hit with a £400 million cut with the (backdoor) bedroom tax! Is it time to charge the pensioner the bedroom tax? No that would be wrong say the Tories but the same Tories charge the bedroom tax for pensioners living in the private rented sector! The same Tories will soon charge the bedroom tax for pensioners in social housing …. unless they live in London that is. Eh!? So should all pensioners be housed in London which is what Tory policy incentivises – You what? What the bloody hell am I on about? I’m explaining Tory policy is the answer and all the above is announced Tory policy! Currently, the pensioner / pensioner couple in social housing is exempt from the bedroom tax and thus has the full housing benefit paid if they live in a 3 bed property and thus the state pays for two spare bedrooms. Hence on the surface the pensioner living in the private rented sector is discriminated against as in all but a minority of cases and in a small minority of areas they are not allowed paid spare bedrooms which the pensioner in social housing is allowed. Strangely, the Tories have never explained this anomaly and have only said the SRS pensioner should not be charged the bedroom tax. Yet that is about to change when the LHA Maxima policy comes in as the SRS pensioner will be limited to the LHA rate in general needs or mainstream housing. Initially the LHA Maxima will only apply from 2019 and to new SRS pensioner tenants from 2016 yet once Universal Credit is fully rolled out it will apply to all SRS pensioner households. The pensioner / pensioner couple in Hull will only get £69 per week as their maximum housing benefit which is not even enough to pay for a 1 bed social housing flat in Hull. So this extreme will see a backdoor bedroom tax being imposed when the pensioner is not even under occupying and when fully occupying! Truly perverse yet this is Tory policy! At the other polarity the SRS pensioner / pensioner couple living in London will be entitled to £262 per week in housing benefit which is more than enough to allow the full social rent to be paid on a 5 bed council or housing association property! This is thoroughly perverse and reveals just how ‘back of a fag packet’ Tory housing benefit policy is in reality. I say flippantly of course that all pensioners in Hull should move to London as this is precisely what the LHA maxima cap policy incentivises. What we also know to be factual is that there are over 500,000 pensioner households in social housing that under occupy their social housing property. We are told that Universal Credit will be fully rolled out early in the next parliament and lets say for arguments sake this is 2022 which is only five years away. 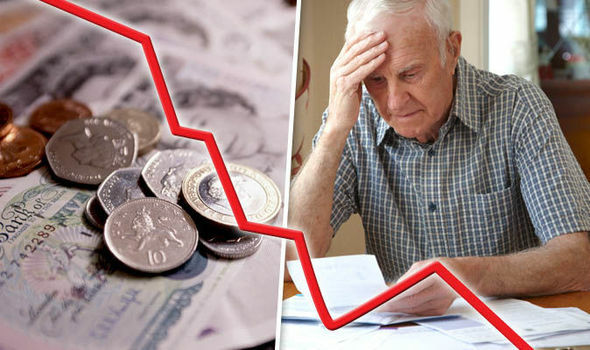 These half a million pensioner households will no longer get their social rent covered by Housing Benefit (London excepted) and so they will have to make up their rent from their state pension or savings. That is a huge game changer in political terms (which I do not focus upon here as the electoral sensitivity of pensioners is well known and accepted) and in housing terms. What arrears actions will council and housing associations landlords take against the pensioner? Will social landlords harangue and bombard the pensioner with red -inked letters that many did for working-age households with the bedroom tax and still are doing with the overall benefit cap? Will social landlords income management teams (aka arrears officers) doorstep the pensioner tenants as happened only yesterday to a working-age tenant over the overall benefit cap in Ashfield? I would suspect not and social landlords will be very reticent indeed to harangue the pensioner for arrears payments which in many cases will be more than the bedroom tax average weekly cut that working-age tenants now have (£15.21 per week) and could be double that weekly amount and in some cases 3 or 4 times the bedroom tax cut! I can also not see the government putting up a further £50 to £70 million per year in Discretionary Housing Payment (DHP) allocations for this and especially not the crudely estimated £400 million per year that pensioners will have cut in their housing benefit! Yes I did say £400 million per year cut in housing benefit to pensioners in social housing! That is a very cautious and likely low estimate too and equates to just a £25 per week cut in housing benefit for just 300,000 pensioner households when I strongly suspect the average will be more and the LHA Maxima policy will affect more than 300,000 pensioners living in social housing who are under occupying. What are social landlords doing about this? Very little if anything it would appear and I suspect a number do not even realise this will happen. Though if any social landlord boards wish to challenge that then by all means email me a copy of any board agenda which includes this and I will gladly change my opinion on this! Social landlords are finally becoming (not before bloody time!!) publicly critical of the LHA Maxima policy and how it affects sheltered housing, yet not saying anything at all on how the policy affects general needs pensioner households in social housing. I suspect this is the usual inept focus of the social housing sector on London-centric issues where the LHA Maxima policy will have no impact yet it will impact dramatically in the regions and to many hundreds of thousands of existing SRS pensioner households. The same lack of discussion and apathy is evident in older persons lobbies such as Age (Age Concern as was) and others as again such lobbies tend to focus on London-centric issues and not regional ones. The same can be said for politicians too and indeed the national media who also tend to focus and prioritise London issues not regional ones … and despite just 17% of all social housing in England being in its capital and 83% or five times as many being outside it! One final point. The £400 million per year estimate above is a cautious one for the reasons I give and compares to the current bedroom tax HB cut of £326 million per year for those of working age at the latest November 2016 figures. 28% of social housing households are headed by a pensioner according to the English Housing Survey and, coincidentally 28% of all housing benefit recipients are aged over 65 according to latest DWP figures released two weeks ago. They possibly could bully them with letters ect. Is this a way of culling pensioners off the face of the earth, as they are doing with the disabled and sick? I wonder! Of course Tories would also lose a great deal of their voting public although I actually persuaded my Mum who’s 84 to vote Labour in the recent Stoke by-elections as she’s seen through me and my friends what the Tories have done to vulnerable people. … and even though an employed person can have a tax–free income from a lodger, a bedroom tax victim is unable to have a lodger. Unless you subsidise the lodger from your benefit – crazy! It’s actually DESIGNED to leave empty bedrooms! Hi, Joe, what is the situation with pensioners who are in sheltered housing? Will they be subject to this? ?